Can anything be forgotten completely? Certainly. But it's not going to be a pair of abandoned train tracks in Silay city, Negros Occidental. The tracks had previously been used to carry raw sugar to the coast. Today, enterprising locals run a fleet of human-powered pedi-cycle trains to provide inexpensive transportation along its 3.75 km length. One man's trash truly became another's treasure. We thought the rural life would be worth a street photograph or two, so we hired our own trains and headed out for an adventure. 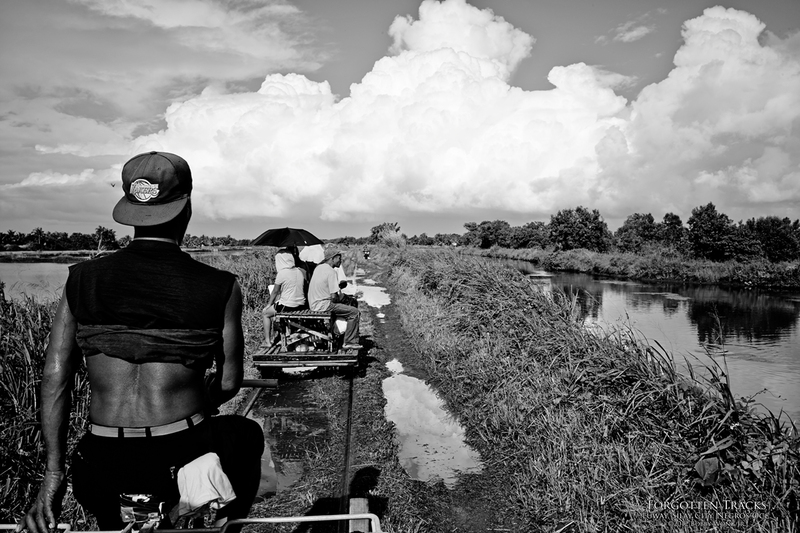 The landscape along the way astonished us: vast sugar fields, endless swamps, abandoned fish pens, and a sprinkling of homes in the middle of nowhere. It was certainly a trip we would not soon forget. Enjoy.